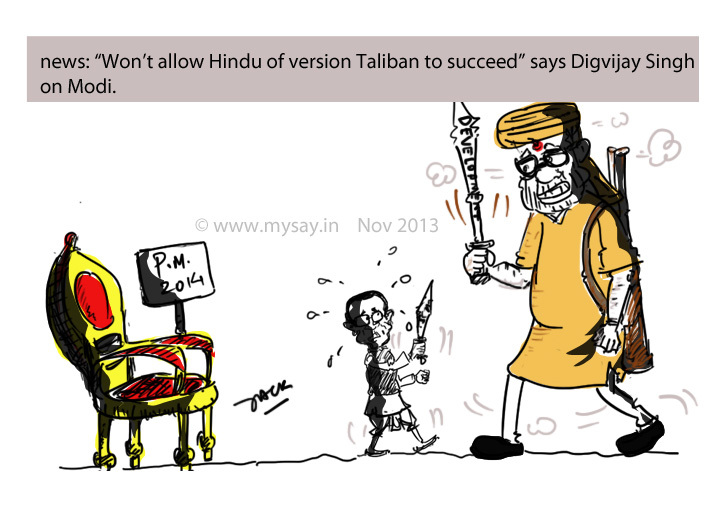 Digvijay Singh to stop Hindu version of Taliban? Digvijay Singh of Congress has blasted yet another fresh speech bomb on PM candidate of BJP, Narendra Modi by stating that he won’t allow Hindu version of Taliban to succeed in India.He also accused the Gujarat CM of hijacking Sardar Patel’s legacy and of ditching ideologies of RSS icons. Jack this one sure got me. Who is save India from Diggy Raja and his foot in the mouth disease ?